. 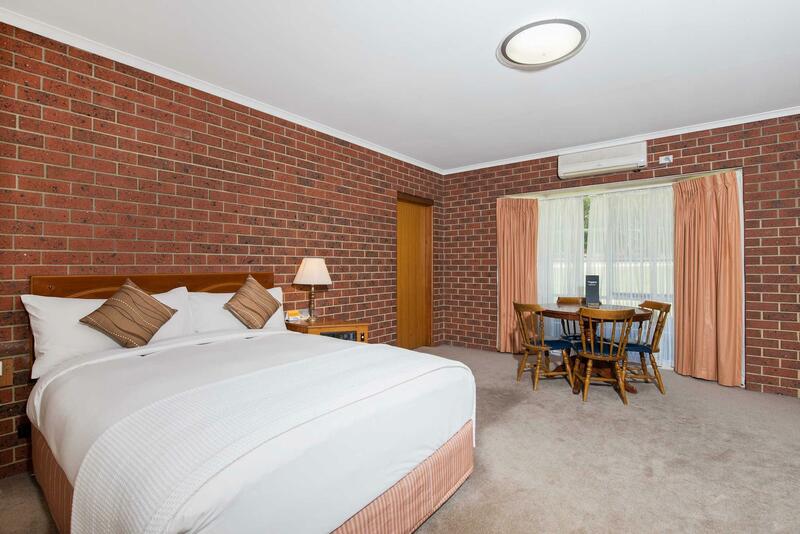 يقدم Comfort Inn Country Plaza Halls Gap خدمات لا غبار عليها وكل أشكال اللياقة وحسن الضيافة اللازمة لإسعاد ضيوفه. يمكن لضيوف الفندق الاستمتاع بالميزات التالية على أرض الفندق: تسجيل وصول/خروج سريع, تخزين الأمتعة, واي فاي في المناطق العامة, صف السيارات, خدمة الغرف. يمكن للنزلاء الاختيار من ضمن مجموعة من الغرف المصممة بعناية لتعكس جواً من الراحة، والتي يتجاوز عددها 51. كما أن مجموعة الخدمات الواسعة الموجودة في الفندق لضمان راحتك تترك لك الكثير من الخيارات لقضاء وقتك أثناء فترة إقامتك. 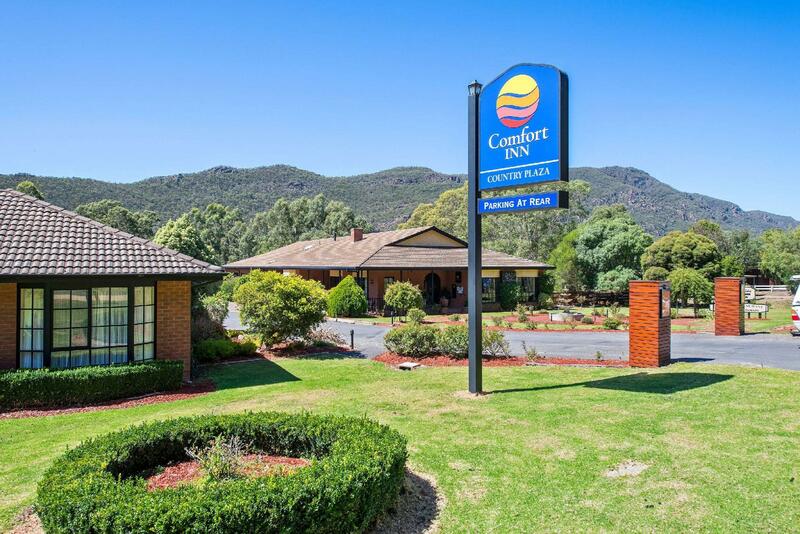 استمتع بخدمات لا يعلى عليها وعنوان ذو اعتبار في Comfort Inn Country Plaza Halls Gap . Booked a double bed room - Check in - our room had a double and a single bed in it -The single bed had the best view position to watch TV -So my partner lie on it - We check out the next day before 10 am All ok - when i arrived home - I noticed $25 had been deducted from my VISA card - When i rang reception at the hotel - A male who answered the phone told me ( very rude ) that it was for the use of the single bed - that their is a note on the bed - explaining - what would happen - if we use it -I told him that their was no note or anyone had warn us - he disagree -This should have been done at check out time - my credit card is there for you to use when you feel like it . There is an automated 24H check-in machine placed in front of the door of the reception for late arrival. That is good but it does not accept confirmation number given by Agoda or international telephone number. I picked up the handset equipped on the machine, however, the help desk answered only after many calls. It was only after an hour after sunset. It is recommended for guests arriving late to get a correct confirmation number from the reception in day time. You also should be careful, the bathtub in the picture of guest room is disabled. It is another point of disappointment. Very comfortable and clean. The surrounding area beautiful. Quiet and peaceful. It does not make sense for the Agoda online form to request the time of arrival at the motel. I had stated that I would be arriving at reception at between 1 and 2 pm and was there just before 1.30 pm. However, I was told rather abruptly to return at 2:00 pm or later as that is when the motel accepts check-ins by customers. What is the point of requesting for a time of arrival in the online form? The brochure on the motel stated that there were 8 Austar channels, but was informed that they had stopped that service years ago. WiFi was supposed to be available in public areas, but was not although a paid service is offered. From the minute you check in you do not feel welcome. positive :location, big room, nice view, local pub and indian restaurant next door. Negative : Rude lady at reception , my opinion she is daughter of the owner so that's why she does not care. no Wi-Fi in room's, extra bed in your room which you cannot touch /sit unless ready to pay $25. I was not informed by the young lady upon check-in that I had no free Wifi because I had booked the room by a third-party (Agoda). She told me that there was a problem with the internet. It wasn't until the next daywhen the lady at reception told me the real cause. One should not lie to customers. We enjoyed the size of the room, and the beds were comfortable! Lovely area. I was a bit disappointed with small insects inside the bathroom. The window probably needs attention. The front desk was a rude as we checked out. But besides that we had a great time with our stay. Nice hotel, very clean ,staff are friendly , easy to check in and check out. I would like to book again next time. We stayed here only for 1 night. My wife was the one who checked in. There was this old guy that served her and rude as. Very poor customer service. But the room is clean. We booked for a queen bed but we got a room with three beds and sign was everywhere saying we have to pay $25 extra if we used the bed. So allnight we have to stop our daughter to use the bed. Although only for her dollys. But when we checked out there was a very nice lady who served us. Older style but well kept. Close to the centre of Halls Gap (walking distance). We liked it. Nothing much to comment on this place, nothing positive or negative to talk about. Only need to prevent yourself from touching the beds that are not supposed to touch to prevent additional charges. 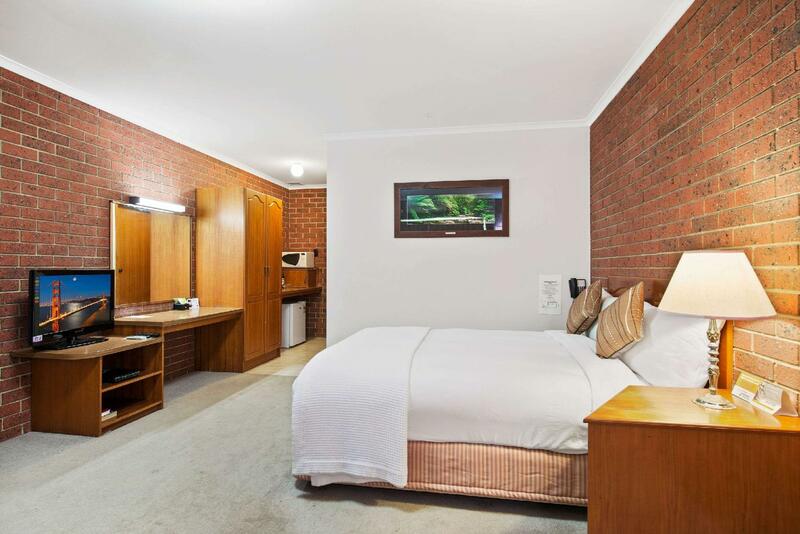 Ideal location near town and the great Indian restaurant. 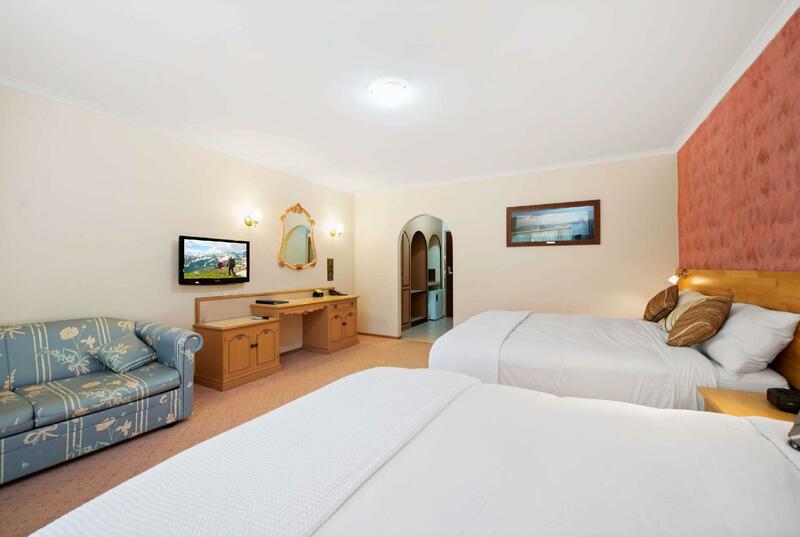 Halls Gap is a lovely place to stay in amongst mountain ranges with great hiking trails. 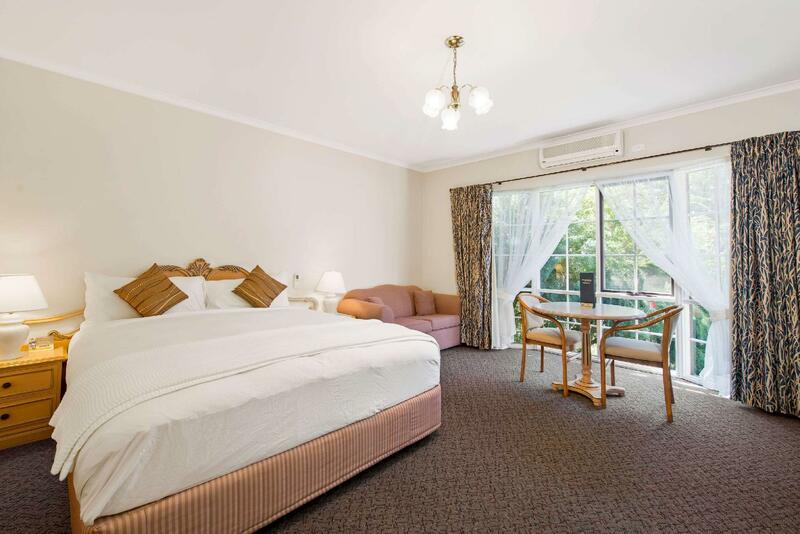 Halls Gap is pretty small and this is the probably the biggest hotel there. It was nice but not great. The positives are the location, comfy bed, and all the wildlife you can see around the property. The negatives were paid wifi and the check in time on the sheet was earlier than what they allowed when we showed up. If you do stay here, I highly recommend the Punjab Indian restaurant just down the street! Nice location, nice hotel, nice view from the motel. Would stay again when in the area.